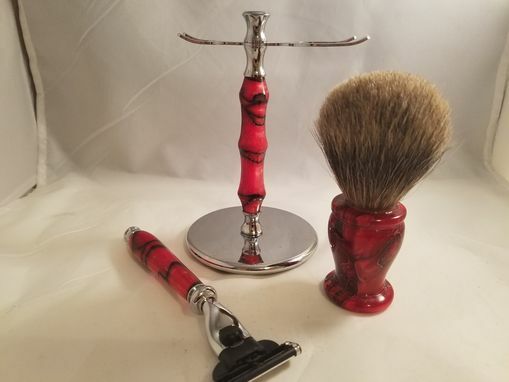 Complete shaving set for the gentleman in your life. 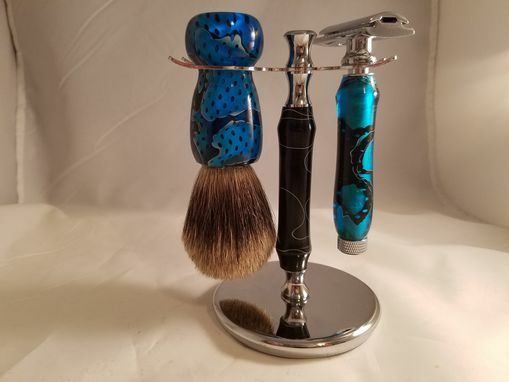 Order a set like this to add a custom element to any bathroom, and ensure a smooth shave with the razor style of your choice. 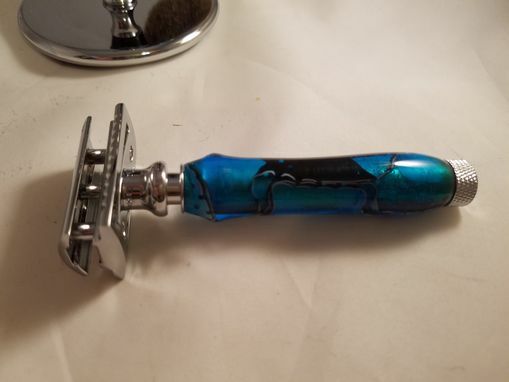 Available in Gillette Mach III or Fusion heads, or with a safety razor as desired. 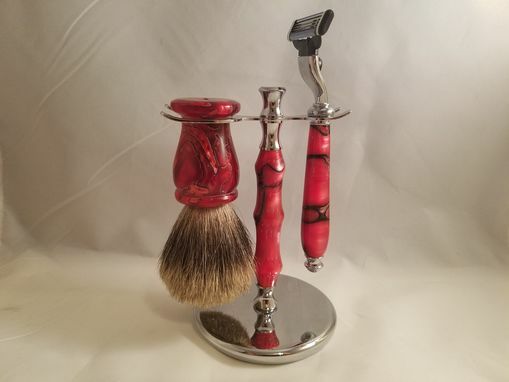 Includes the razor handle with chrome hardware, a chrome stand, and a high quality badger hair brush for application of your favorite shaving cream.